Large, yet light weight, the CAMSS 24TAC shelter is the perfect lightweight maintenance enclosure (LME). Designed to meet military requirements, this 780 square foot shelter is under 1200 lbs and has a packed cube of under 100 cubic feet. 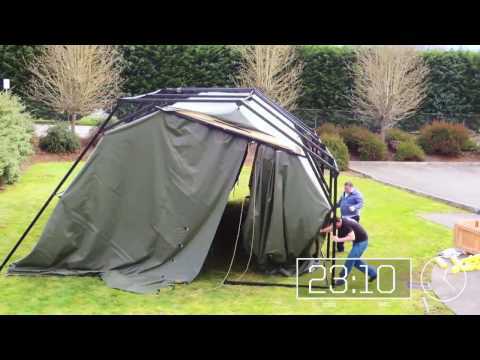 The shelter is a simple folding frame and 1-piece fabric bundle that can be set up in minutes with a few personnel. Though designed for maintenance, the 24TAC is versatile in its applications.